Fully Insured In-home and Online Personal Training, Nutrition, Boxing, Pre and post Natal Fitness, Kettlebell training, and MORE! Serving Union County and surrounding areas. From fitness tips, workout routines, and nutrition plans, we are here to help you. All of our trainers are certified, insured and possess a Bachelors Degree in the field. As well as hold many other specific specialized certifications. 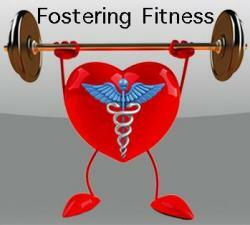 Fostering Fitness has been in the fitness industry for over 10 years and has trained over 1,000 clients, from 1-on-1 personal training, small group training, athletic/sports teams, pre and post natal, sports medicine and even sports rehab. We have both male and female trainers that come WITH EQUIPMENT right to your door! CALL NOW to schedule a FREE assessment.